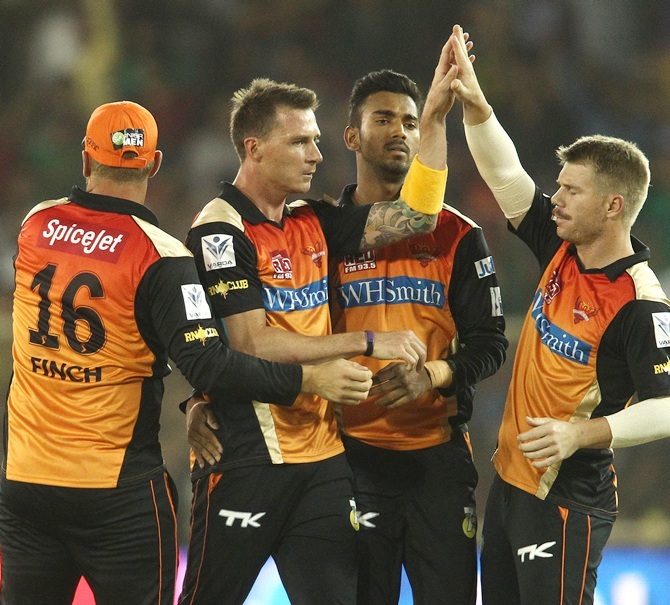 The rain only made it simpler for the Sunrisers Hyderabad. But they deserved to win Saturday's Indian Premier League match against Delhi Daredevils because of their exceptional death bowling, asserted the visiting team coach Tom Moody. In a rain-hit match, Hyderabad needed 43 off five overs in a revised target after restricting the hosts to 143 for seven. They easily got home with the loss of two wickets. “In the last 40 balls, roughly we bowled 34 in the block holes and when you do that, rain or no rain, it’s going to be difficult to score and along with that we took wickets, so it is difficult for a new batsman to score,” the former Australian all-rounder said. It’s not the first time that Hyderabad have won on the back of their bowling led by South African speedster Dale Steyn, who is ably supported by Indian fast bowler Bhuvneshwar Kumar. Moody said the exceptional death bowling was the turning point of the match. “It was probably the way we finished the innings with the ball. The teams tend to go 10 in an over but we managed to keep it under six and took wickets, that was the turning point. We richly deserved to win the way we played,” he said. Hyderabad's batsmen have not really fired in the tournament so far but Moody backed his batting line up and also refused to tinker with the batting order. Asked if they would think of sending David Warner up the order, Moody replied in a negative. “David is an exceptional player but at the moment the balance of the side requires him to bat at No 4. In a shortened game, at four he is wasted, so we moved him up to three today. Lokesh Rahul has done a consistent job. 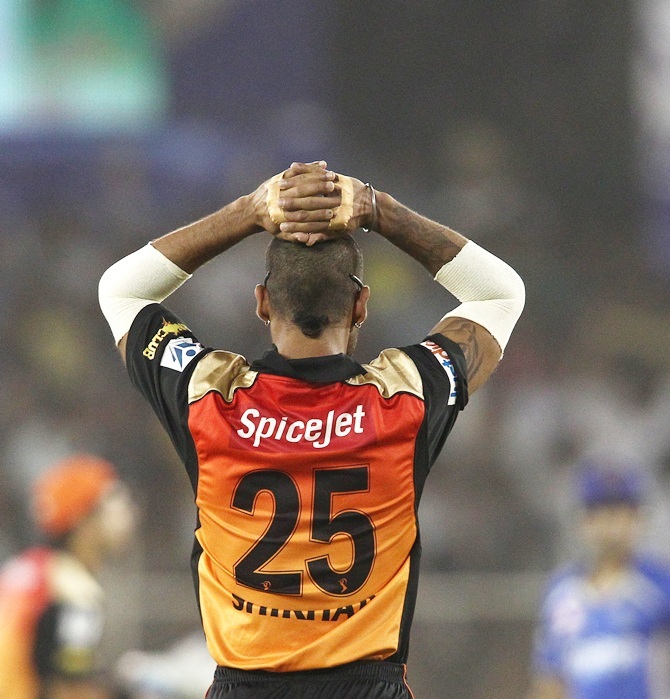 Both Shikhar Dhawan and Finch have threatened. We know they are match winners and that innings is just round the corner. We need to have faith in proven performers,” he said. Moody also defended the decision to drop West Indies all-rounder Darren Sammy to accommodate Moises Henriques. Delhi Daredevils are virtually out of the reckoning for the knockouts and batsman JP Duminy says ending the tournament on a high is the aim now. “We are all professionals. And we got to respect the game. We just can’t pass time in the next five games. We have got to give it all. We owe it to Delhi Daredevils supporters and the owners, who have faith in us and that is a good enough motivation. We should end the tournament on a high,” the South African southpaw said. Duminy also agreed that the Sunrisers played exceptional cricket and rain actually provided them a good chance to pull off a win. Is Dhoni right in comparing Maxwell with Tendulkar, Sehwag?